Leslea Fisher at the premiere of "Legion." 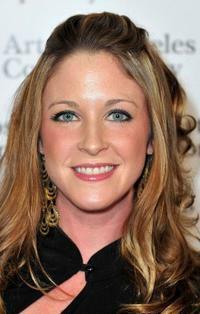 Leslea Fisher at the premiere of "Dear John." Leslea Fisher at the opening night gala of the 1st Annual Art Los Angeles Contemporary. Leslea Fisher at the premiere of "Extraordinary Measures."